There is so much going on! Fayetteville has grown into a different city over the last three or four years. Where there used to be much excitement at the chance to go to a holiday art sale to get non-mall or Amazon-sourced holiday gifts, nine such events took place last weekend, and all were well attended. I took part in two of them on opposite ends of North Block Street: the new Art Market at Fayetteville Underground and the fourteenth Holiday Art Sale at the Shirkey House, a venue for many concerts over the decades and now only occasionally open to the public. The Underground offered small works by 35 Underground and visiting artists. The event kicked off on December 3 with a special preview/live auction for members of the organization’s new 101 Club, followed by four busy days of welcoming art lovers and gift seekers. The Holiday Art Sale is a bit more intimate: Eleven artists with a loyal local and regional following sold their work over the course of three days in the cozy, storied Shirkey House. 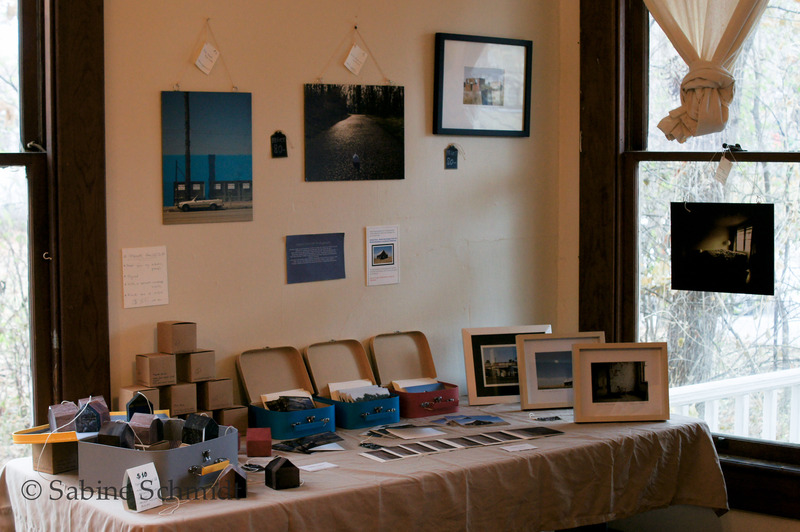 Booth at the Holiday Art Sale, December 5-7, 2014. I sold new greeting cards and houses from a new series of the paper houses I make from my discarded artist’s prints. I also had framed and unframed prints for sale. Business was pleasantly brisk, and I was happy to see so many visitors leave with some of my work. That’s quite encouraging. The cards all have a little story/caption on the back that will eventually become part of the book I’m working on with Don House. One of the cards: Sleeping In, Henryetta, Oklahoma. An overcast morning in a small town off the Interstate. 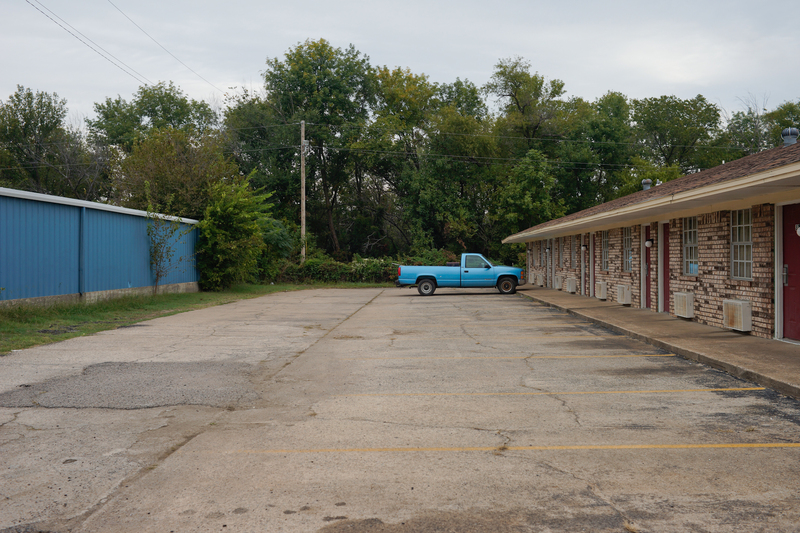 The motel parking lot emptied hours ago as salesmen, families, and photographers continued their journeys. One traveler lingers. I have orders from a couple of galleries and gift shops I’m trying to get out as quickly as possible. What an embarrassment of riches. When I got my first chance to sell my art in Fayetteville a few years ago, I was ecstatic. Now I’m working with several places in the region (and fulfilling orders through my website). I may not get much sleep, but I love knowing that my photos and houses are so readily available. Getting the houses ready. 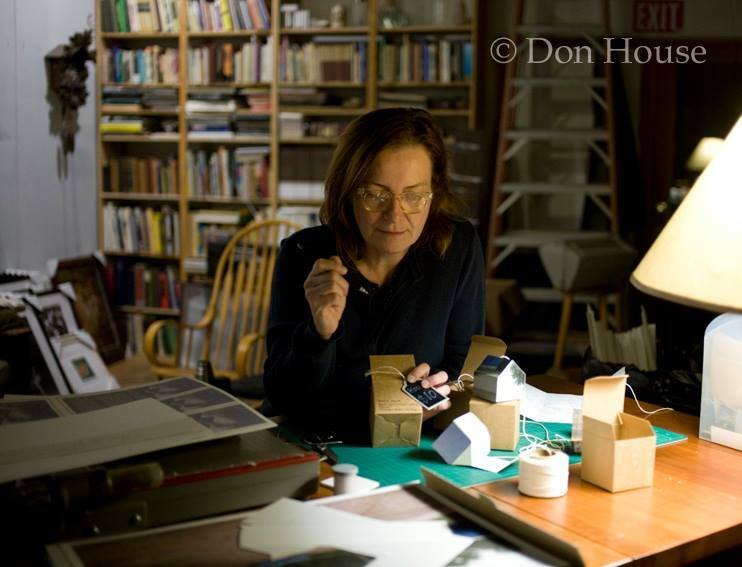 Photo: Don House.